Almost every center in Alberta has ties to the oil and gas industry, which leaves you many possible choices for relocating. There’s something for everyone and it may take some trial and error to find your fit. Most people start with a “Trial run” before committing to a full move. We’ll get into this in another section. Many people remain transient when working out west as “Hot Spots” for work can change frequently. It often depends on investments into different regions made by the oil companies. 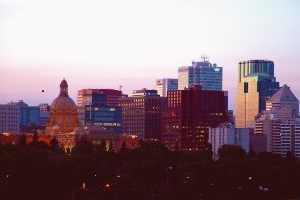 Calgary and Edmonton are the two largest regions with populations of just over 1,000,000 in each one. They both have many head offices of oil companies. Almost halfway between these two cities is the smaller city of Red Deer. 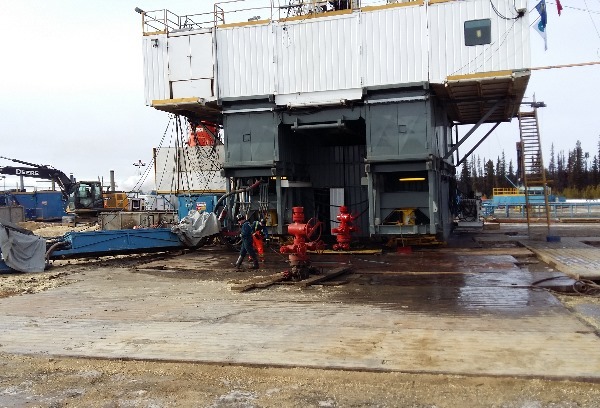 It’s a much smaller center with just under 100,000 people, but it’s centrally located in the province and serves as a large equipment base for many oil and gas companies. Red Deer is roughly 1.5 hours to both Edmonton, and Calgary airports. Oilfield Trucking. 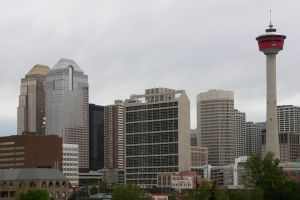 Calgary Alberta is the largest city in Alberta and is located in the southern part of the province. Many oil company head offices are located here. There are many other great places throughout the province from Lethbridge or Medicine Hat in the south, to Hinton in the northwest and Lloydminster in the east. Grande Prairie is the largest city base servicing the oil and gas fields of Northern Alberta, and British Columbia. It sits roughly 94 km southeast of the border to BC. Most of the drilling and service companies have bases situated in Grande Prairie. 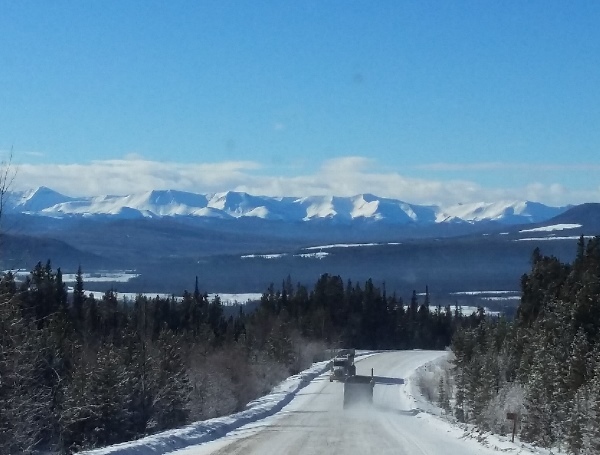 I enjoyed the scenery and the challenging terrain of the foothills along the edge of the Rockies and up the Alaskan Highway, but it may not be for everyone. 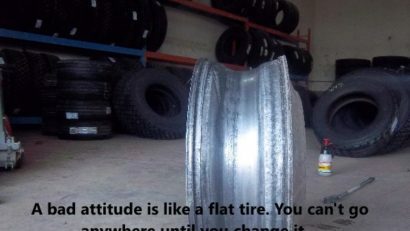 You can expect to chain up your tires as part of your daily routine. 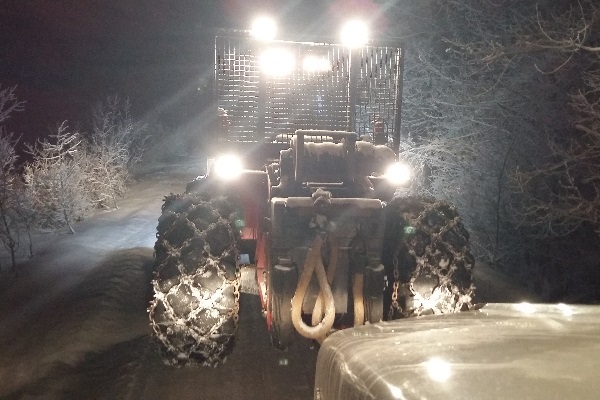 Oilfield Trucking in the foothills and mountains of northern Alberta and British Colombia provides much more challenging terrain. 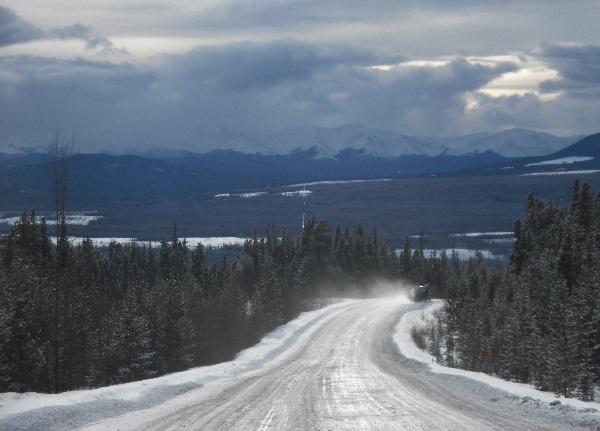 Not far across the border in Dawson Creek, BC is where the famous Alaskan Highway starts at “Mile 0”. 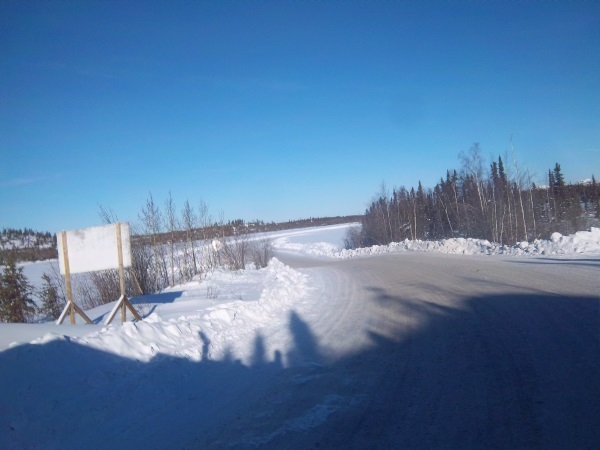 The Alaska Highway runs north through Ft. St. John up to Ft. Nelson. From here it continues through the rest of northern BC, into the Yukon, and Alaska. “Sedimentary basin” oilfield work is limited north of the Ft. Nelson area except for Horn River Basin. There are some great opportunities with companies servicing the oil and gas industry in northern BC if you don’t mind the higher taxes. 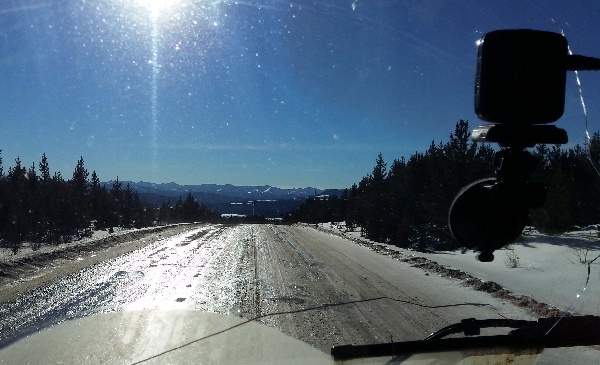 Most of central and southern Alberta is relatively flat, and may be more appealing to those looking for a bit less off road driving challenges. 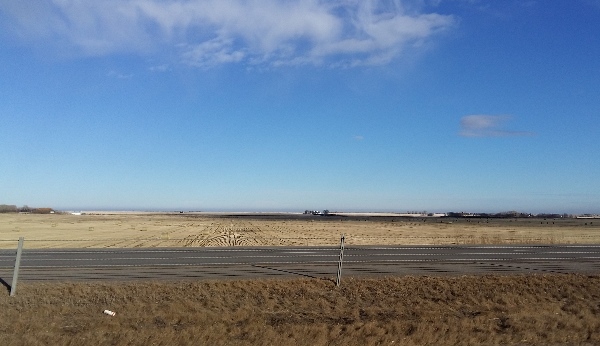 The Saskatchewan landscape is also mostly flat with a few rolling hills, but for those of you that love large bodies of water, be prepared to miss it. 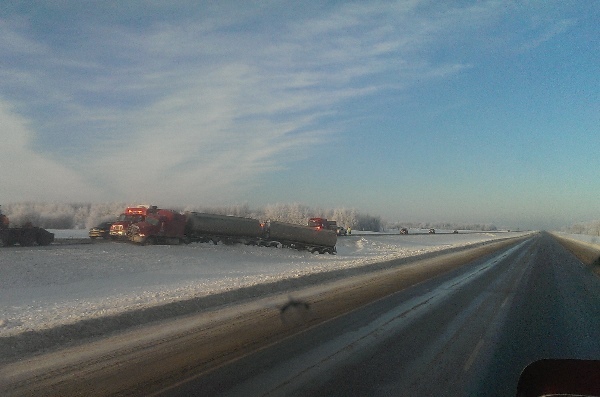 Oilfield Trucking in Southern Alberta and into Saskatchewan is relatively flat and less challenging. 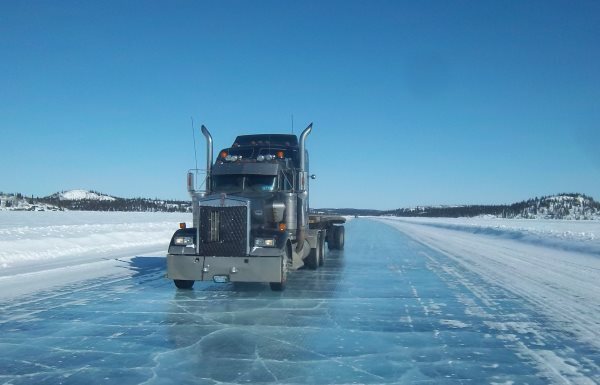 Hopefully, you now have a better picture of the “where” we are referring to when we talk about oilfield trucking in Canada. 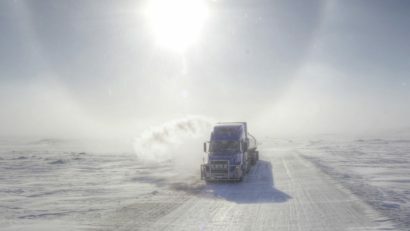 Thanks for reading our Oilfield Trucking introduction.